As the Olympic Games earlier this summer showed, Americans love to compare ourselves with other countries. Within the U.S., we like to compare our states with other states. When Ohio State plays the University of Michigan, it's not just a football game. In education, we also like to compare, and we usually don't like what we see. Comparisons can be useful in giving us a point of reference for what is possible, but a point of reference doesn't help if it is not seen as a peer. For example, U. S. students are in the middle of the pack of developed nations on Program for International Student Assessment (PISA) tests for 15 year olds, but Americans expect to do a lot better than that. The National Assessment of Educational Progress (NAEP) allows us to compare scores within the U.S., and unless you're in Massachusetts, which usually scores highest, you probably don't like those comparisons either. When we don't like our ranking, we explain it away as best as we can. Countries with higher PISA scores have fewer immigrants, or pay their teachers better, or have cultures that value education more. States that do better are richer, or have other unfair advantages. These explanations may or may not have an element of truth, but the bottom line is that comparisons on such a grand scale are just not that useful. There are far too many factors that are different between nations or states, some of which are changeable and some not, at least in the near term. Kevan Collins, Director of the Education Endowment Foundation in England (England's equivalent to our Investing in Innovation (i3) program), has an answer to this dilemma, which he explained at a recent conference I attended in Stockholm. His idea is based on a major, very successful initiative of Tony Blair's government beginning in 2003, called the London Challenge. Secondary schools in the greater London area were put into clusters according to students' achievement at the end of primary (elementary) school, levels of poverty, numbers of children speaking languages other than English at home, size, and other attributes. Examination of the results being achieved by schools within the same cluster showed remarkable variation in test scores. Even in the poorest clusters there were schools performing above the national average, and in the wealthiest clusters there were schools below the average. Schools low in their own clusters were given substantial resources to improve, with a particular emphasis on leadership. Over time, London went from being one of the lowest-achieving areas of England to scoring among the highest. Later versions of this plan in Manchester and in the Midlands did not work as well, but they did not have much time before the end of the Blair government meant the end of the experiment. Fast forward to today, and think about states in the U. S. as the unit of reform. Imagine that Maryland, my state, categorized its Title I elementary, middle, and high schools according to percent free lunch, ethnic composition, percent English learners, urban/rural, school size, and so on. 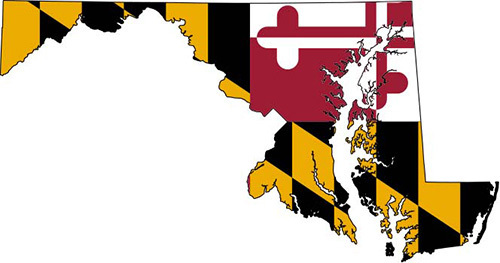 Each of Maryland's Title I schools would be in a cluster of perhaps 50 very similar schools. As in England, there would be huge variation in achievement within clusters. A plan like this could make a substantial difference in performance among all Title I schools statewide. It would focus attention sharply where it is needed, on improved teaching and learning in the schools that need it most. Within a few years, Maryland, or any other state that did the same, might blow past Massachusetts, and a few years after that, we'd all be getting visits from Finnish educators!